I’ve written here already about my crimes against fashion. Unfortunately, on top of that I have some pretty major bad hair issues. Swimming is a bit of a problem for hair to start with. Chlorine is the worst for hair, but if you add in salt, sand, lot of sun, sunscreen, swimming caps, and throw in a bit of dodgy motorbike-helmet-hair for good measure then it’s pretty much a recipe for disaster. I have a few things that I do, however, to try to keep things from getting completely out of hand. 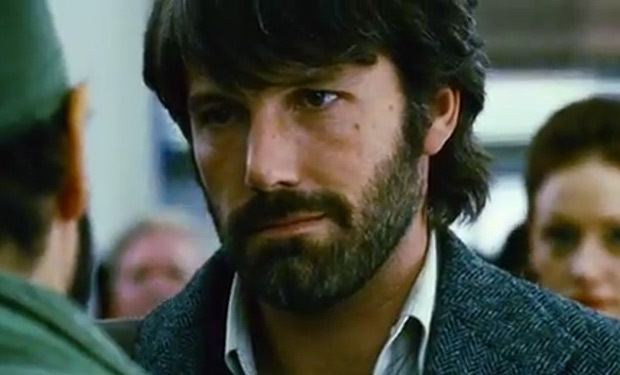 (Like before my last haircut when I was at the movies seeing Argo with my significant other and realised I had the exact same colour and style hair as Ben Affleck. In a movie set in the 70s) Some of it might even be considered advice. If you see me on a good day you might even believe that it’s reasonable for me to be giving hair advice. I keep my hair pretty short. Total laziness and I realise it’s not for everyone, but it does help. It also means a lot less time in changerooms and washing my hair in pool/beach showers. Moroccan Oil/Argan Oil. I’m not endorsing any particular brand because I’ve used a couple now and they are all awesome. I came a bit late to this whole movement, but I’m a bit of a convert. My super dry, brittle, straw-like hair actually feels like hair again. Apparently you should rinse your hair in fresh water before you put on your cap to swim in chlorinated water. I totally don’t do this, but it’s what I’ve read. Feel free to weigh in in the comments. Disguise. Headbands, hats, beanies. I have a large collection of all of the above, and I’m not afraid to use them! Go back and check the archives if you like…if I’m not actually wearing a swimming cap, chances are I’m wearing some form of headwear. Embrace your inner brunette. I change my hair colour fairly frequently, and definitely notice that bleaching your hair dries it out to start with. If you’re adding the wear and tear of swimming on top of that, your hair will suffer. I’ve been sticking with brunette for a couple of months and thinks have definitely improved. 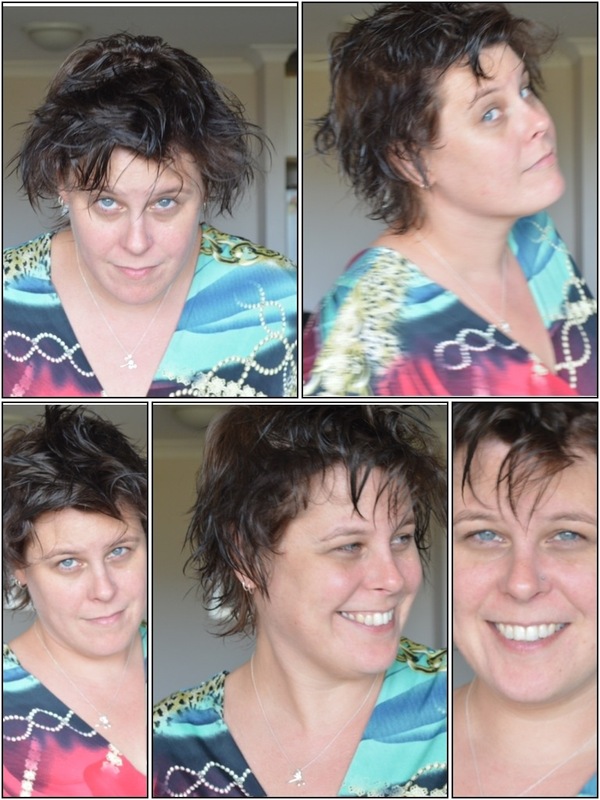 Don’t take silly photos of yourself with the crazy hair. And certainly don’t publish them on the internet for posterity. That’s a terrible idea! What sort of water temperature is too hot for an ocean swim race? Or too cold? And for what sort of race? How long? With or without wetsuits? Surely safety must be an issue? To be honest I’d never thought tooooo much about the topic. I know that there’s a point where they (not sure I’ve ever thought about exactly who “they” are) call it too cold to race without a wetsuit. In my head it varies between 15 and 16 degrees celsius. Luckily, someone have given these things a lot more thought than I have, and even luckier, they are the people in charge of these things! Seems there are international standards for these things, and then there is a NSW body that is far more responsible than I am. They’re called Swimming New South Wales, and they have some very comprehensive Water Temperature rules. Apparently the general guide is 16-32 agrees Celsius range of water temperature, give or take a bit depending on air temperature over time. Please, check the link and don’t trust my vague reading of it if it ever comes down to anything influencing any decision-making…but it is interesting to know. I does make me realise just how lucky I am (again!) to live in such a temperate region where this is such a non-issue that I have never actually been faced with conditions outside of these parameters. Best place in the world? Well….I don’t know if I can entirely say that. I haven’t been everywhere yet… Seriously, though, I do know how lucky I am to train week in and week out at beaches like Bondi and Clovelly and to race up and down this gorgeous coast. Grateful. That’s what I am every day for that fact. How many pairs of swimmers are sane? Swimmers, cossies, bathers, togs. There are plenty of names for swimwear. And, it seems, plenty of pairs of swimmers in my closet. I’m not entirely sure that I’m the right person to answer that question, as I do seem to be on the pointy end of the bell curve on this one even amongst my fellow swimmers. So in answer to the question…you can totally get by with one pair of swimmers even if you’re swimming quite a bit. It is hard work, though, as you’ll really need to spend a bit of time and effort rinsing and drying them and making sure the sand and salt and chlorine is properly rinsed and they dry at least often enough to not get skanky. Otherwise there’s risks of chafing, undue wear and tear on said item of swimwear, mould, yeast, holes and other unmentionable problems. It is good to have at least a couple of pairs if you’re training a coupe of times a week. I personally like to have plenty, so I always have a clean dry pair, a spare here or there, and don’t have to worry about keeping up with the laundry during race season (n.b. towels: another whole laundry issue for another day). That being said, if you’re starting out, I’d suggest building up from 1-2 pairs as you need them, and investing in quality chlorine-resistant proper one-piece trainers. Plus, I seem to pretty much always be able to justify shopping if it’s for any sort of workout gear, swimmers included, as it’s totally good for me. To be fair, though, during summer, I am in the water a lot. Like really a lot. Like during peak season I’m swimming 6 days a week. So I need a lot of swimmers and I don’t have a lot of time for laundry. So how many pairs do I have? So how many pairs do I have? OK, I’m totally avoiding the question and playing the justification game, so let me ease into it by breaking it down. Just so you know, I’m going to exclude leisure wear (bikinis and tankinis to be worn on holidays in the Pacific, not for training), or anything that is old and worn out but has sunk into the oblivion of the bottom of my basket of swim gear. 2 Pairs of Can Too cossies. I’ve done two Can Too programs and you are given a pair of Can Too swimmers when you achieve your fundraising target. They aren’t the most flattering or the most comfortable, but they are pretty fun at events (or training) where you’re showing your solidarity for the cause. 1 Pair of black Adidas. These were a pair that Ronene ordered online and were some crazy European sizing. They were way too big for her, and they’re still too big for me (despite the fact that I’m about a foot and a half taller than her) and will do if I’m desperate and/or work quite well under a wetsuit. 2 Pairs Speedo Endurance. One is solid bright pink and one solid light blue. I picked these up for a steal from an online sale with only random sizes about 2 years ago. They last and last and last and look the same today as the day I bought them. They do have a down-side though. I totally love them for pool swimming, but the edges and seams seem to be doubled up and sewed very sturdily. This is great for in the pool, means they’re less prone to chlorine degradation. On the beach, however, it’s a bit of a problem. The extra thickness of material around all the edges and the sturdy stitching, when combined with salt and sand, does tend to lead to a marked increase in the indelicate problem of ….errr….chafing. 1 pair of branded swimmers from a squad I no longer belong to. They live in my desk drawer at work in case I forget to pack swimmers for training. So that’s 9 pairs. I’ve just retired one, and have one on order for the brand new swim squad, being custom-made by the very talented (at both swimming and sewing) Immie. So I suppose I can own up to maintaining about 10 pairs. What do you think? Excessive? Reasonable? Conservative? Completely off the chart?